Before the coming of the Internet, the telephone or the telegraph, the quickest way to send a message was to jump on a fast horse with stamina and hit the trail. 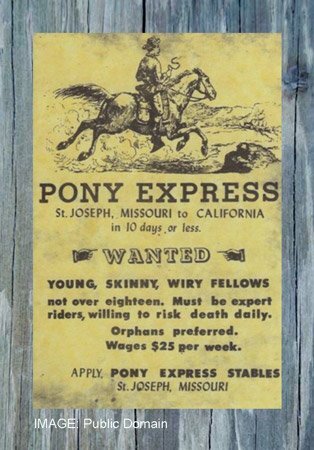 So it was that the Pony Express was born in April, 1860, linking St. Joseph, Missouri, with Sacramento, California. Making it all worthwhile were the state’s fabulously rich goldfields and easy ferry access to the boomtown of San Francisco – already, after just ten years in the Union, the 15th largest city in the nation. Sleepy little Los Angeles wasn’t even on the top 100 list. The route was long and arduous; 1,900 miles, traversed by a 24/7 chain of riders, the most famous of whom was Buffalo Bill. Yep, that Buffalo Bill. Each rider switched horses six or seven times a day on a hell-for-leather shift of 60-75 miles. Just thinking about it kinda makes a person reach for the liniment. In the end, it wasn’t the danger, the morality clause – or the HR department – that did in the company, but progress. Upon the completion of the transcontinental telegraph in 1861, it folded after only 18 short but glorious months of operation. Still, the Pony Express rider lives on as a symbol of independence, toughness and daring. 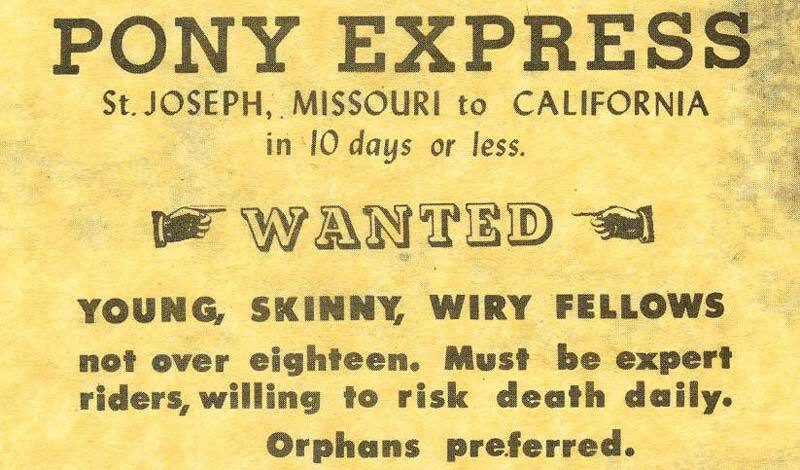 Even today, in the comfort of cozy, climate controlled offices in trendy ad agency enclaves around the country, there are still assignments available for orphans (preferred) willing to risk death daily. You know, the kind of gutsy undertakings from which lesser mortals shrink. For example, devising advertising campaigns aimed at Boomers. What more dangerous, career-ending decision could there be for any young Madison Avenue Wunderkind than suggesting a mainstream brand campaign targeting Boomers? It’s a radical, edgy idea – no doubt about it. And everyone knows edgy is the fast track to the C-Suite these days, but, c’mon, advertise to Boomers? Even in adland, edgy has its limits. 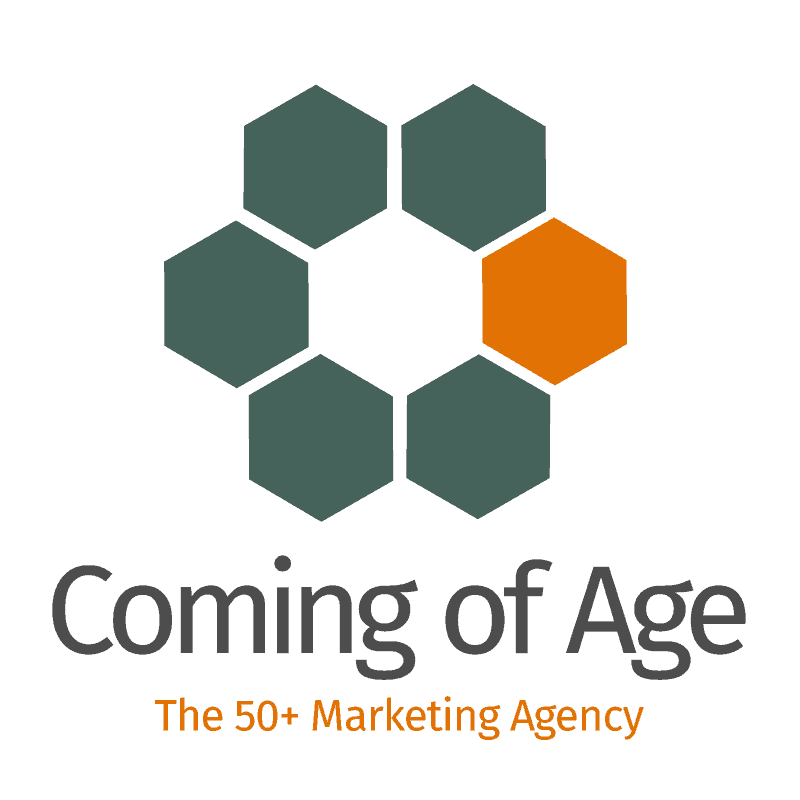 For decades now, conventional marketing wisdom has drummed into young ad-minds the myth that, after age fifty, American consumers are no longer adaptable enough to switch brands or develop new buying patterns. Except of course, for a lemming-like rush on frame walkers and mobility scooters to buy adult incontinence undergarments and medications. So why waste budgets on relics whose buying behavior was fixed back in the olden days? Well, the facts contradict clumsy stereotyping of the fifty-plus arena. 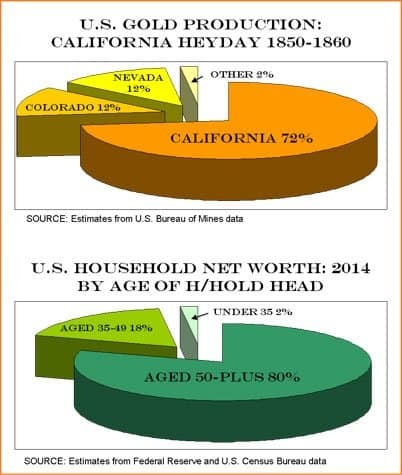 Today’s over-fifty marketplace is even richer than California in its Gold Rush heyday. The state accounted for 72% of all U.S. gold production in the 1850s (U.S. Bureau of Mines) while today’s 50+ space owns 80% of U.S. household net worth. So it’s no surprise that consumers over fifty represent a huge bonanza for mainstream brands. But the rich mother lode is hidden away – only the easy pickings, aka the 18-49 demo, are in plain view. Shiny, pretty little nuggets, for sure, but only 20% of the potential wealth. Like Old California, the Boomer-Plus market is a place for visionaries, brawny thinkers and winners. Surely, somewhere out there are a few daring, disruptive Millennials with enough moxie to blaze the trail to success beyond the frontier – risking career death daily along the way, of course. The reward? A market of around 110 million consumers – the third largest economy in the world after the U.S. and China – who buy half of all of the new cars sold in America, 60% of CPGs, two-thirds of home improvement products/services and represent the fastest growing demo for smartphones and iPads/tablets. 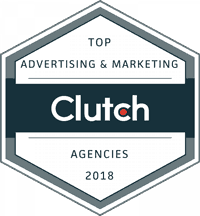 Best of all, there is almost no competition; mainstream brands spend only about 5% of their ad budgets on actively targeting the fifty-plus arena (Nielsen). Eureka! It’s time for a new Gold Rush.